A recent edition of Connect, a publication by the Association of Zoos and Aquariums (AZA) as "a forum for promoting AZA's mission," was at pains to highlight their members' support for tiger conservation programs. Apparently, in 2013, 47 AZA-accredited zoos and aquariums supported tiger conservation. This figure accounts for approximately 21 percent of their 228 accredited zoos and aquariums. Sounds reasonable enough, right? How did they support tiger conservation? What did they actually support? I wonder. According to the AZA, in 2013, "member facilities" spent $572,908 on tiger conservation. Firstly, which are these "member facilities?" Are they simply the 47 AZA-accredited zoos and aquariums? Or, do they include the non-accredited animal-keeping member facilities, such as the International Animal Exchange, Inc. (an animal transport company) or Natural Encounters, Inc. (that provides expertise on animal training and shows)? Moreover, participating in conservation can include a variety of activities. It could include funding of field conservation in the wild (in situ conservation). On the other hand, it might simply be participating in captive breeding programs, or even contributing to the costs of maintaining the animal collection. Does this relatively small sum, equivalent to less than $2,000 per AZA-accredited zoo, in some cases include the costs of keeping tigers in zoos under the term "conservation" (conserving the species by housing an individual)? And, if so, does that really justify claims about conservation participation by AZA zoos? Regardless of the answers to these questions, what is clear is that there is a financial and human investment made by zoos in keeping animals in captivity. We are convinced that this investment could be put to better use protecting animal populations in the wild. Tigers have no difficulty reproducing when given the opportunity in their natural environment; resources spent on captive breeding programs only serve to diminish resources that could be spent on wild populations. The real questions are: Are we ensuring that tigers breed in the wild, not in captivity, so that populations can increase? And, are we mitigating the conditions that have caused the precipitous and dramatic decline of wild tiger populations over the past century? Human/animal conflict, habitat destruction, and poaching are key threats currently pushing wild tigers to the brink of extinction. 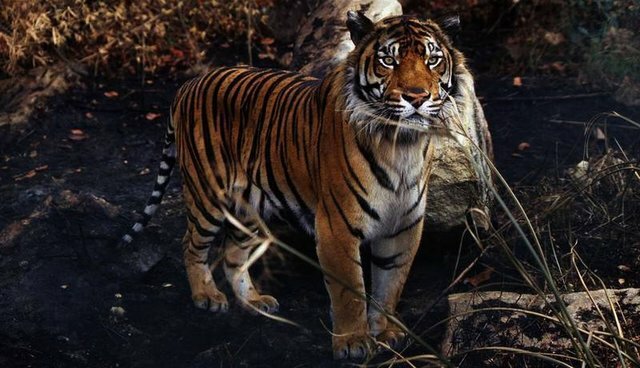 The drive to satisfy Asian demand for tiger parts and products made from them is hastening the species' demise. Born Free is taking positive steps to protect wild tiger populations: engaging with local communities in central India with the Satpuda Landscape Tiger Programme (SLTP), working to enforce bans on international trade in tigers and tiger parts, and rescuing individual tigers in need with partners like Wildlife S.O.S. and ensuring a humane lifetime of care. Sure, zoos are quick to talk dollars invested in "tiger conservation" and praise their tenuous involvement in wild tiger population improvements - but the fact remains that the battle for tiger conservation will be won in the wild, not within the concrete confines of American zoos.